An outfit post? Yes, really! My friend Rosie came down to stay and I had to grab the chance for her to snap some blog photos for me. 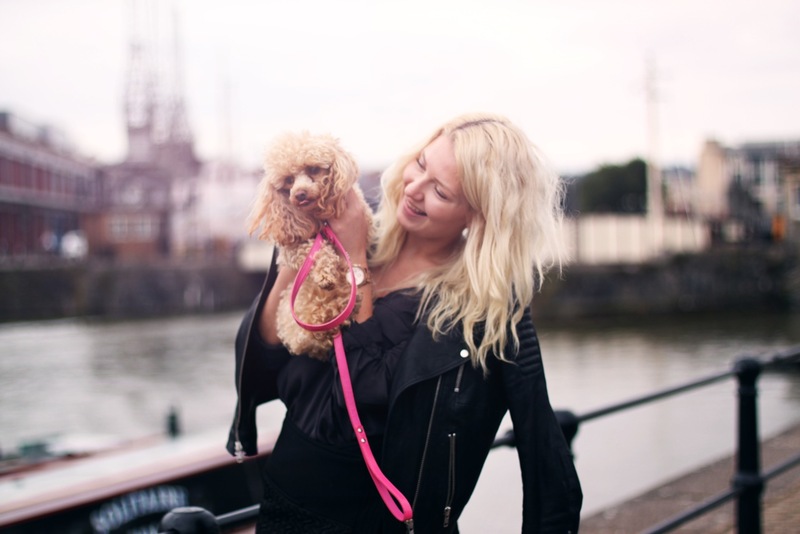 If you don't know who Audrey is then she is my apricot Toy Poodle and i've been meaning to have her in some of my outfit posts for a while! I love how the satin, jacquard and leather all tie together in black and cannot wait for A/W layering and mixing textures such as wool, mohair, leather, patent, shearling and fur together. Your dog is absolutely adorable! She definitely looks tamer than my little Jackahuahua Minnie, who would be running all over if I tried to take pictures with her. Absolutely love your jacket, can't believe its H&M!